Through January 31, 2012, you can apply for a new Citi AAdvantage credit card and receive 50,000 American Airlines AAdvantage bonus miles, a $150 statement credit and 2 Admirals Club one-day passes. This offer is valid on the Citi Platinum Select / AAdvantage Visa Signature card, the Citi Select / AAdvantage American Express card, as well as the CitiBusiness / AAdvantage Visa card. To earn your 50,000 bonus miles, you’ll need to spend at least $3,000 within your first 4 months of opening your account. To receive your $150 statement credit, you’ll also need to make an eligible American Airlines purchase within your first year. Eligible purchases include flights or gift cards with AA as the merchant of record, but exclude car rentals, vacation packages, purchases of miles, duty-free purchases and AA Cargo products and services. Under this offer, the first year’s annual fee is also waived. 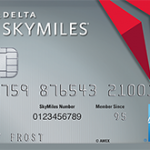 After the first year, the consumer cards carry an annual fee of $85 while the CitiBusiness AAdvantage card has an annual fee of $75. While this offer is not as lucrative as the now expired 75,000 bonus AAdvantage miles deal, it’s currently the best available for these cards. For more details, see away7.citicards.com. Update 2/3: The previous URL has expired, but the offer can still be found at this link. In addition, on this landing page, the expiration date for this offer has been updated to February 29, 2012. Update 5/1: This offer has expired. For the current offer, please see this page. Amit, it may be possible to get Citi to match this offer, but it typically isn’t as easy as it is with Chase. You’ll either need to send a secure message online to Citi or call them up. You will likely increase your chances of success if you call them up. It’s preferable to speak to the retentions department, as they will be more empowered to give you extra bonuses than a front-line rep would. You can reach Citi retentions directly (rather than having to be referred to them) by calling 800-444-2568. Good luck. Any word on whether this link will still work after the stated 1/31 expiration (as most Citi AA links have in the past)? After being approved, how soon will I receive the admirals club passes? As to whether this link will still work after 1/31, I’m sorry, but I don’t have any inside knowledge on this particular offer, so I would just be guessing like you. As you mentioned, it’s common for these AA links to continue working even after their stated expiration, so it seems a reasonable gamble. Also, as you noted, there’s a good chance that a similar offer will reappear should this one get discontinued. Issuers are still aggressively pursuing new accounts, so chances are good that there will continue to be attractive offers, at least in the near term. Regarding the Admirals Club passes, you should expect to receive them in 1-3 months after approval. If it takes longer than that, you should contact Citi. If i already have an advantage mastercard, am i eligible to for the 50,000 bonus on the visa? Yes, you should be eligible for the 50,000 bonus on the Visa as well. How long after I make the AA purchase would the statement credit take to post? Alex, based on previous reports, most people have received their statement credits either on the same billing statement as the one they made their purchase on, or the next. So it should be pretty fast. If I cancel my AAdvantage Master Card how long do I have to wait to be eligible again to apply and get the 50000? I’m trying to get Citi to give me credit but they are demanding proof, and since the link is dead, I can’t print it out. I like the Visa card, and AAdvantage miles. ANY OFFERS OF BONUS AA MILES WITH VISA?